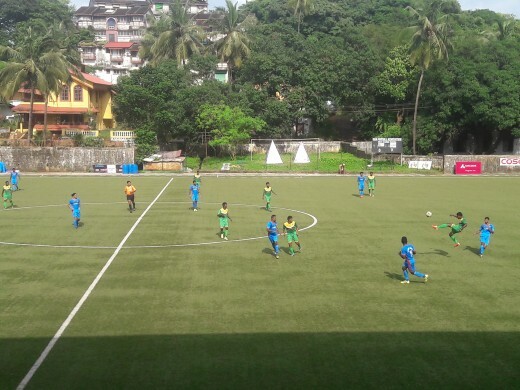 They overcame Salgaocar FC following penalties... ..
Calangute Association beat Salgaocar Football Club 6-4 on penalties as they set up a clash against FC Bardez in the Final of the Goa Police Cup following a game played at Duler Stadium earlier today. Calangute went into halftime with a one goal lead as both teams shared equal possession in the match. Salgaocar took 11 minutes to have their first shot on target, Jovel Martin’s shot from outside the box was easily saved by Calangute keeper Jason D’Mello. Few minutes later Jason had to stretch to his limit to stop Liston Colaco’s 25-yard effort. 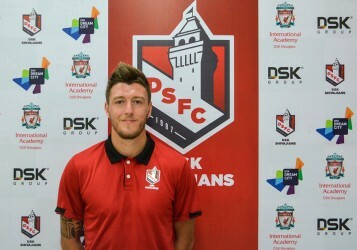 In the 19th minute Salgaocar wasted another chance to take the lead as Brian Masacrenhas failed to connect from close range after receiving a perfect cross from Nicolau Colaco. Six minutes later Calangute’s Agnelo Colaco made an excellent run from the right flank and crossed it to Newton in the box but his shot sailed over the crossbar. 30 minutes into the match Terence Lobo fed an excellent through ball to Sunny Fernandes, but Salgaocar custodian Bruno Colaco was quick enough to collect it before it get banged into the net. Finally in first half added time supporters were happy when Steven Fernandes gave Calangute the lead with his clinical finish from inside the 6-yardbox, Agnelo Colaco was the architecture of the goal. Salgaocar took just a minute after break to level the score. Liston Colaco’s low shot past the Calangute defense and keeper into back of the net which was brilliantly assisted by Gilbert Oliveira. Few minutes later Gilbert was again at it with a perfect cross but substitute Naro Hari's shot missed the target by hairline distance. At the other end substitute Valerio Rodrigues tried his luck from 35 yards, but hit the woodwork with keeper Bruno beaten. With ten minutes left in regular time Calangute’s Yogesh Kadam failed to control his shot from close distance. In the penalty shootout Agnelo Colaco, Melvin Lobo, Yogesh Kadam, Valerio Rodrigues and Pedro Gonsalves scored from the spot for Calangute while for The Greens Gilbert Oliveira, Mackroy Peixote and Naro Hari made no mistake, but Souvik Das' shot hit the cross bar. “I'm feeling happy for the boys. They always give their best. We are happy to be in the final and hope we win it. I am looking forward to winning it again for the second time.” said Calangute Head Coach Valentine Ezeugo who won the last edition of the tournament with Tuff Laxmiprasad SC. The Final will be played on 19th August at Duler Stadium.